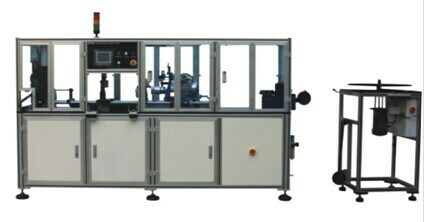 DX-100starter motor winding forming machine is used for fast forming of the auto starter motor armature winding. The entire machine is controlled by Siemens PLC. It is possible to modify all the parameter at real time as well as inching operating the valves in manual mode. Also, it is convenient for the users to debug or replace product specification. 1 Germany Siemens PLC; Inner-set simple trouble suggestion as well as sensor position status display; Debug; Easy to maintain. 3 There are three work stages such as auto, unit step and indexing, with wireless detection available. 6 adjustable modularization designs: Just adjust the distance between the functional blocks to process wire with different shape. 7 with high automation degree: It can automatically finish wire alignment, de-enamelling cut-off and forming as well as unloading automatically.